Jes is a vision therapist at our office. She has helped numerous patients gain a better visual system that allows them to play better in sports, read more easily, and live a better life. Jes is born and raised in Chandler, Arizona. She received her associates in arts and is certified as a vision therapist. 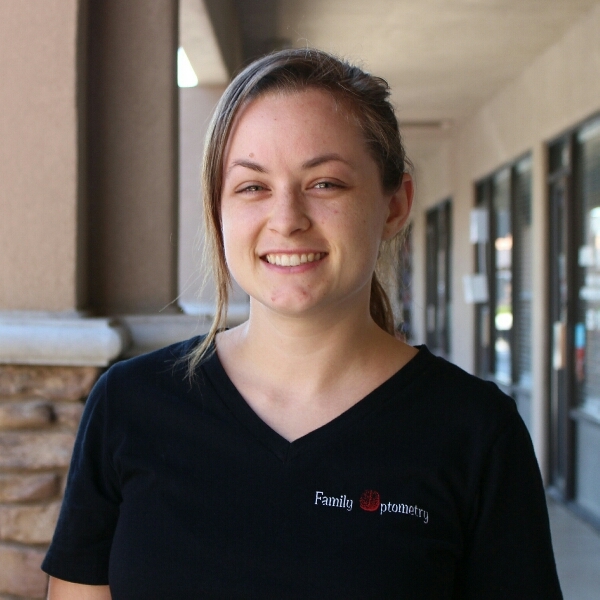 Jes' favorite part of her work is that she loves helping and watching patients succeed. Jes' interests include reading, decorating, and gardening.